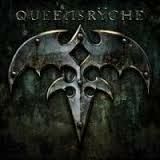 2 Years after “Dedicated To Chaos”, a new singer, and a lot of media over legal issues between the band and former singer Geoff Tate, QUEENSRYCHE is back with a new album named “Queensryche”, remaining under the veil of Century Media. People who talked about this album as being a “back to the roots” album are kind of right. New singer Todd La Torre sounds like a younger version of Geoff Tate with a more bass and higher range (listen to his other band CRIMSON GLORY, this guy has quite high pitch notes). The band is free from Tate’s musical influences and free to head back to the their past, but did they really? The album starts with the instrumental piece named “X2” and from there to “Where Dreams Go To Die”, a melodic Metal song with a big chorus, great guitars and old school QUEENSRYCHE feel, a good start. Then “Spore” that automatically changes the mood and retains the vigor of the last couple of albums with a groove riff, yet there is a ¾ feel in the chorus that illuminates on the QUEENSRYCHE that is so admired. From that point on, the album became a mixture of “Empire” and “Operation Mindcrime” style of songs but with several new (not needed in my opinion) elements. Overall it’s solid album, great singing and songwriting and especially wonderful sing along choruses and guitar melodies, the only thing I missed is a tad more heaviness and maybe more songs in the style of “Queen Of The Ryche”. But maybe after establishing themselves with a new band and singer, they can really go back to the roots, or maybe almost 30 years after, QUEENSRYCHE is in the right direction they were looking for. In my opinion, it’s a good one and I’m sure old and new fans will love this one.